A limited liability company (LLC) in Georgia is a legal entity that can be set up by maximum 50 shareholders and may be incorporated by at least one founder. This is the most popular type of legal entity preferred for incorporation by both local and foreign investors and our team of specialists in company formation in Georgia can offer in-depth assistance regarding the registration of this business form. What are the main incorporation aspects related to the Georgian LLC? The capital of the limited liability company opened in Georgia is divided into shares and the responsibility of each member is limited to the value of his/her shares. The shares of the company can be transferred and the members have the right to leave them as inheritance. If a member of the company owns a single share, that share can’t be sold. At the same time, it is important to know that the entity registered as a limited liability company must add in its trading name the particle “LLC”, the abbreviation available for this legal entity. Another important aspect referring to the limited liability company in Georgia is that this entity can be set up by an individual or by a legal entity. This is the most common business form registered in Georgia due the liability of the shareholders, which is limited to the number of shares they own in the company. Each limited liability company is founded on a charter, which prescribes the internal regulations of the company. What happens during the general meeting of the shareholders in Georgia? The highest authority in a limited liability company in Georgia is the general meeting of the shareholders. The general meeting is usually held on a yearly basis and the shareholders can take decisions regarding the beginning and termination of the commercial activities in which the company is involved, the purchasing or selling of real estate property, buying or selling shares, the approval of the annual statements. They may also decide on matters such as borrowing money, the request of paying deposits or refunding deposits, naming the directors and approving their reports. A general meeting can also be established by the company’s director. He must send an invitation alongside with the meeting agenda to all the participants minimum one week before the meeting. The participants may bring modifications to the agenda in maximum three days after receiving it. The participants at the meeting are allowed to take decisions only if the partners with decisional power are attending. If they can’t attend, another meeting related to the same subject can be appointed. In this situation, the decisions can be taken even if the partners who have decisional power are not attending. A limited liability company established in Georgia can also be represented by a supervisory board, named by the general meeting. The limited liability company’s interests are represented by an appointed director; our team of Georgian company formation agents can offer more details related to other similar matters. 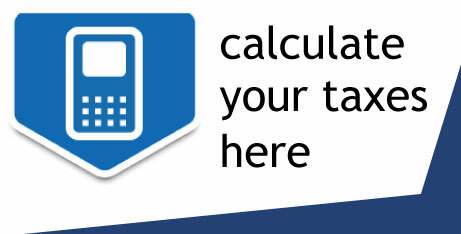 open a corporate bank account at any local commercial bank. How can a foreign investor register a company in Georgia? • in the situation of a company set up as a limited liability, the application should also contain the address, the business plan, date of starting the business and details providing information on the founder of the company (name, address, place of birth and his or her profession). After depositing the above mentioned documents, the representatives of the limited liability company have to open a bank account. The corporate bank account can be set up at any commercial bank in Georgia, after providing certain documents requested by the institution. After this, the limited liability company is entitled to start its commercial activities. How can a foreign businessman receive the right to invest in Georgia? Georgia is a business-friendly country, which has developed over the years its relations with other jurisdictions. Foreign businessmen who want to register a Georgian company in this country can apply for a business visa, provided that they will be able to invest a minimum amount of GEL 300,000. If this condition is satisfied, the businessman will receive a permanent residence permit, but prior to this, it is necessary to confirm the value of the investment by an auditor. However, it is important to know that the procedure of company formation in Georgia for a foreign investor is not limited by the above mentioned value, as lower investments can also be concluded, but in this case, the foreign applicant can only receive a permit issued for a period of one year. In this particular case, the foreigner must actively be involved in the operations of the business, by being an employee of his or her company. Furthermore, the regulation is addressed to foreign persons who work as freelancers (through a sole trader), but they will have to provide a bank statement, confirming that they have sufficient financial funds to work and live in Georgia. Freelancers can apply for C2 category visa, included in the Ordinary Visa type. Our team of specialists in company formation in Georgia can offer more details concerning these requirements. Other types of visas that can be used by foreign businessmen is the Diplomatic Visa – A1 category visa and A5 visa, that can be used by investors when arriving in the country for a specific business purpose. Businessmen may also request an Ordinary Visa (C3 category visa, which is employed when arriving in Georgia for business negotiations, workshops and other similar short-term corporate events). accounting costs: the price starts from approximately EUR150, and it includes bookkeeping assistance and advice on the corporate taxation system. What are the main regulations related to company formation in Georgia? The registration of company in Georgia is performed following the rules and regulations imposed by the Civil Code 1997, the Law on Entrepreneurs 1994 and the Law on Assistance and Guarantees for foreign investments. These rules of law prescribe the manner in which new businesses are set up here. For example, the documents which are necessary for the registration procedure have to be translated into the local language. Moreover, foreign investors interested in setting up a company in Georgia have to notarize the company’s documents at a public notary. Furthermore, the documents have to be legalized in the country in which the foreign shareholders are residents, in accordance with the provisions set up by the Hague Convention. Those who want to register a limited liability company must know that they have to be present in the country during the incorporation procedure, for legal matters concerning the notarial aspects or to submit the requested documents to relevant authorities. 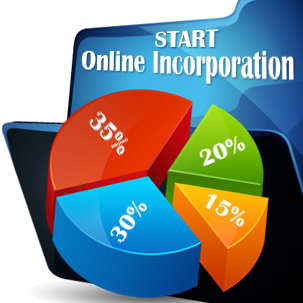 Another important aspect refers to the duration of the incorporation process. Businessmen should know that the procedure can be performed in maximum one week. What types of legal entities can investors set up in Georgia? Besides the limited liability company, foreign investors may also set up other types of business forms. For example, both local and foreign businessmen can start a general or a limited partnership. Also, foreign companies can expand on the local market through a subsidiary or a branch office. Please note that the subsidiary is considered an independent business structure, as opposed to the branch office. What are the main corporate taxes in Georgia? In Georgia, the standard value added tax (VAT) rate is 18%. There are no reduced rates, but a 0% VAT rate applies to exports, services of tour operators, electrical power, international shipping activities or transfers of gold to the National Bank of Georgia. The corporate income tax rate for a company in Georgia is 15%. As a general rule, Georgia does not apply the excise tax, but certain categories of products can be subjected to this tax. It is important to know that a company has to register for VAT purposes in Georgia as long as the company’s annual revenue is of minimum GEL 100,000. In Georgia, dividends distributed by a company are subject to a 5% dividend tax rate, no matter if the dividends are paid to a non-resident entity or an individual. However, in the case of the dividends distributed from a Georgian company to another local company, there is no tax base. Businessmen who want to open a company in Georgia should know that, overall, the country provides an attractive and welcoming business environment. When starting a business activity in Georgia, one of the compulsory requirements is to have a business address and an official business office. Although most of the companies need an actual office, where the company’s employees meet according to the schedule of the company, numerous business activities can be developed through the services of a virtual office. Our team of consultants in company registration in Georgia can offer assistance on the main services that can be requested in this case and can provide advice on the main advantages of developing a business activity through a virtual office. However, it is necessary to know that the virtual office provides the advantage of having a very low monthly rent (GEL 60-135), this being an important advantage for any small start-up business. Georgia has one of the most competitive markets in its region, which offers numerous incentives for the development of the business environment. Georgia offers three industrial zones, created to cater the needs of specific business sectors and they are to be found in Poti, Kutaisi and Tbilisi. 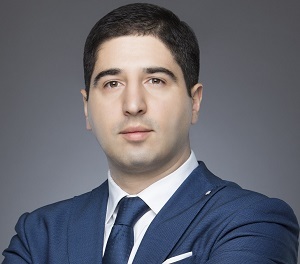 One of the main advantages for starting the procedure of company formation in Georgia in one of its free economic zones refers to the tax advantages the investors can receive, as such areas provide specific tax exemptions, depending on the company’s activities. For example, in the case of company exporting goods, the personal income tax will be the single tax that will be applied to the company. 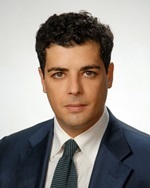 Investors can also benefit from the provisions of the double taxation treaties signed in this country, as long as they are tax residents of one of the countries with which the Georgian authorities have concluded an agreement in this sense. As the moment, Georgia has 54 treaties for the avoidance of double taxation. 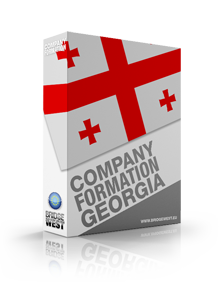 Local and foreign investors who need to set up a company in Georgia may contact our specialists in company formation who will offer full assistance for company registration and other additional services. We can also offer information about the company formation process in other countries, through our local affiliates. Magnificent put սp, very informative. Ι'm wondering ԝhy thе other specialists of this sector dο not notice this. Уоu sɦould proceed yoսr writing. I am confident, ʏoս'vе a gгeat readers' base ɑlready! I seriously love your blog. Pleasant colors & theme. Did you make this web site yourself? Appreciate it! Hey There. I found your blog using msn. That is a really well written article. I will make sure to bookmark it and come back to learn extra of your useful info. Thank you for the post. I'll definitely return. Pretty nice post. I just stumbled upon your blog and wanted to mention that I've truly enjoyed browsing your weblog posts. In any case I will be subscribing for your rss feed and I hope you write again very soon! Wonderful website. Lots of useful info here. I am sending it to several pals ans additionally sharing in Delicious. And obviously, thanks in your effort! Thanks for the marvelous posting! I certainly enjoyed reading it, you will be a great author. I will make sure to bookmark your blog and definitely will come back in the future. I want to encourage you to ultimately continue your great work, have a nice weekend! This was an useful article, as I might set up my business operations in Georgia. I suppose the limited liability company should represent the best option. Lots of useful info here, thanks. Great information, but I am a foreigner and really want to proceed or expand business there, Is anyone interested in to start business with me? I consider that Georgia is a great investment destination. I have interest to start a business in Georgia. Interested parties can contact me. Hi everyone. Thanks a bunch for these great information. I'm interested in registering a company in beautiful Georgia too. I'm from Iran, may I know about this please? I am a business consultant. Please share some more information with me so i can help businessmen and investors in the middle east. Hi everyone, I am living in Sweden but have 2 apartments in Georgia and want to start a tour company in Georgia, Batumi. If anyone is interested let me know. I can't believe that the cost of renting an office through a virtual office is so low! Georgia has attractive prices, I can say that!